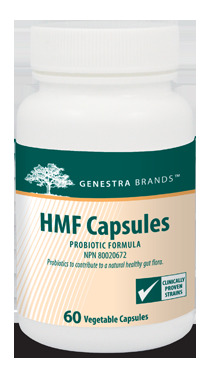 HMF Capsules is a low level, long-term maintenance probiotic formula which provides two strains of proprietary human-sourced Lactobacillus acidophilus, Bifidobacterium bifidum and Bifidobacterium animalis subsp. lactis, to specifically assist in re-establishing and maintaining a normal intestinal microflora. Note: fructo-oligosaccharides (FOS) are not included in this product. Stress, medication, processed foods, environmental contaminants and lifestyle may be some contributing factors which upset the delicate balance of the intestinal flora and imbalances of friendly bacteria and, thereby, the integrity of the immune system. Studies show an overgrowth of opportunistic pathogens crowds out intestinal bacteria, deposits toxins, damages the mucosal lining, and compromises the immune system, thereby increasing susceptibility to chronic infection, fatigue and disease. Weakened body's defenses lead to increased infections. Supplementation of Lactobacillus and Bifidobacteria will crowd out unwanted bacteria by repopulating the gastrointestinal tract. 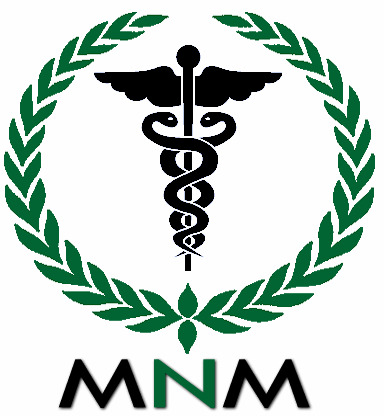 HMF Capsules is indicated for indigestion, chronic colds and flus, candidiasis, hypercholesterolemia, fungal and yeast infections, and to maintain a healthy immune system. Pharmax and GENESTRA BRANDS™ are probiotic science and innovation leaders, with over 20+ years of proven experience and an ongoing commitment to incorporate the safest and most effective strains that reflect the latest evidence-based research from human trials. Their probiotics are human-sourced strains, proven in human clinical trials and cover a comprehensive product range. Recommended Dose: Adults and Children (4 years and older): Take two capsules two times daily with meals, or as recommended by your healthcare practitioner. This product does not contain: wheat, gluten, dairy, soy, corn, fish, shellfish, peanuts, tree nuts, eggs, artificial colors, flavors or preservatives. Ideal for vegetarians. The capsules are made from 100% pure vegetable sources, free of preservatives and additives.